Inmarsat BGAN terminals offer a wide variety of capabilities. Not all BGAN terminal models support all services. 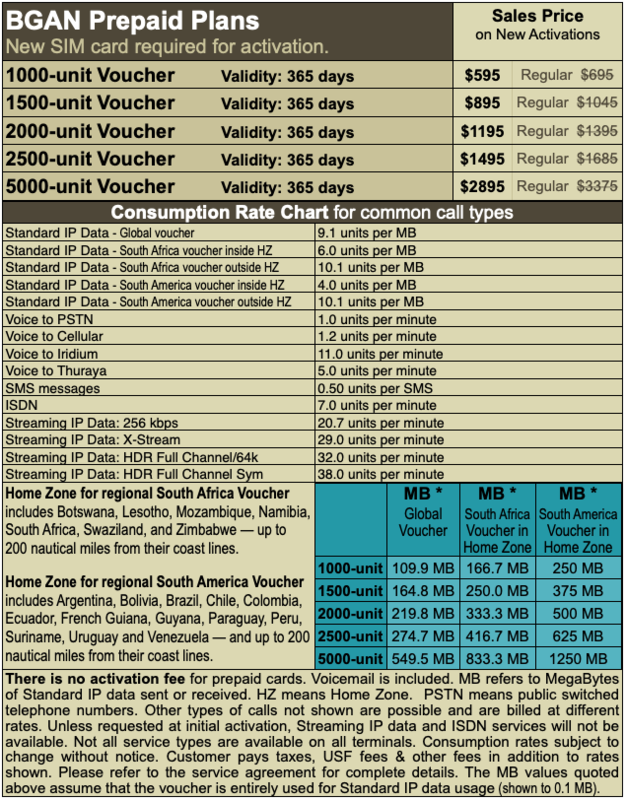 Service is available in the form of prepaid vouchers and postpaid plans with a monthly service fee. Inmarsat now offers the Standard Plus plan with tiered usage costs for Standard IP data, making unlimited use of internet access finally affordable. For more information on this please call. Streaming IP data for video and similar applications needing a Quality of Service (QoS). HDR streaming IP data services can reach up to 750 kbps.